This is what you have been looking for! Beautiful and unique, 3 homes on almost 58 acres all permitted by the county. 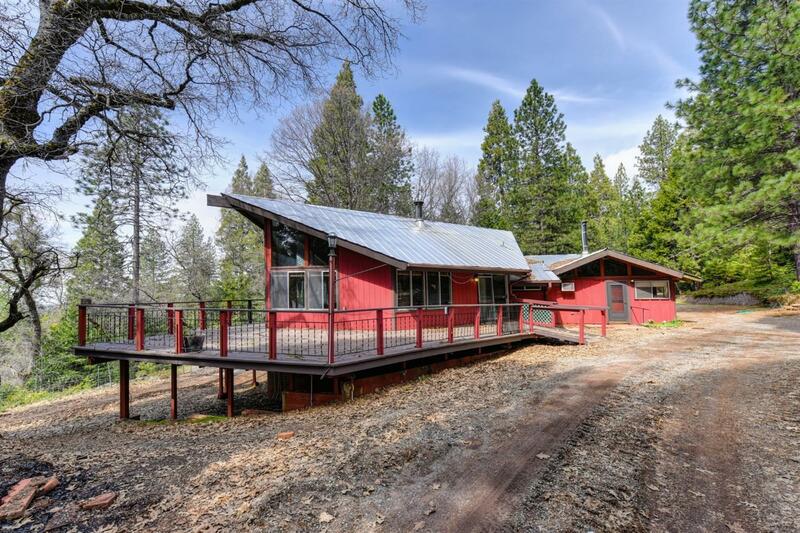 Main house, Red Cabin with open beam ceilings, large circular wood burning stove, wrap around deck and stunning views! Almost 1800 sq. ft. 2 bedrooms and 2 bathrooms, very rustic. Green Cabin 2 bedrooms and 2 bathrooms, 1000 sq. ft. with wood floors and 2 car garage. Brown Cabin 2 bedrooms and 2 bathrooms, 1200 sq. ft. with wood floors. This is all situated on heavily treed acreage. Perfect for recreation, investment or family, friends and groups! All homes have much potential but very tired and in need of a lot of TLC! Possible logging and splitting of parcels. All this and so close to gorgeous Jenkinson Lake!